New to meditation or looking for a fun way to grow your practice? We've created a simple, intuitive, and helpful app that allows you to meditate with MindKind founder Home, wherever you go. 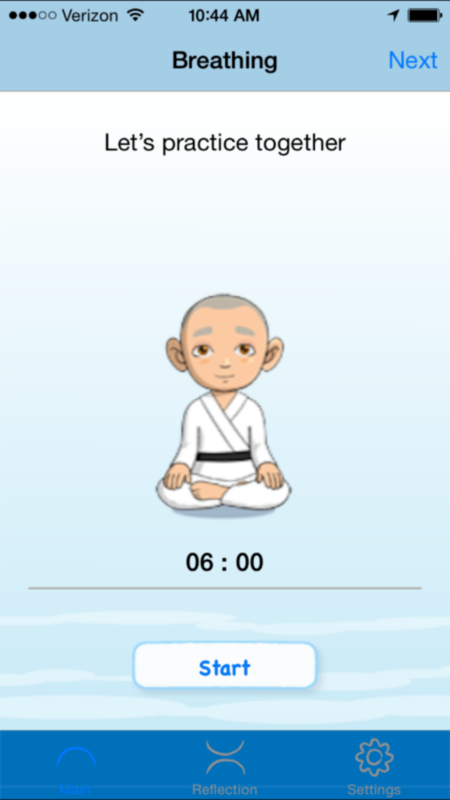 You can customize the length of your meditation and listen to guided meditations that help you to get present, control your emotions, and reconnect with your body. Watch Home speak at TEDx Columbia Teachers College. These videos are designed to help people who are new to mindfulness to deepen their practice. Each video teaches a simple technique to practice mindfulness in your everyday life. The series is still in production and there will be six videos in all. Join our newsletter below to see more of the latest videos. Here is what Harvard Business Review has to say about the science behind the argument that meditation is increasingly relevant in the business world. The New York Times features a story on how the CEO of Aetna is bringing mindfulness into his company, and why. Here is Forbes' take on the benefits of mindfulness for personal and company-wide performance and productivity.